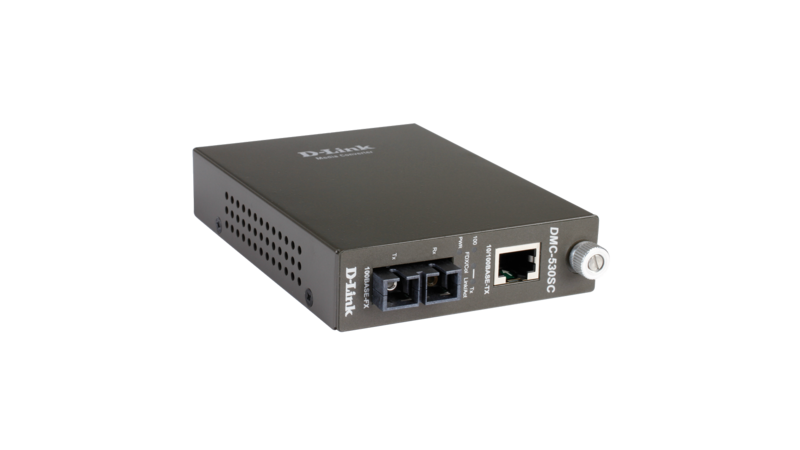 Supporting signals up to 30KM apart, the DMC-530C converts 10/100Mpbs 10BASE-T-100BASE-TX Fast Ethernet twisted pair signals to 100BASE-FX single-mode signals. 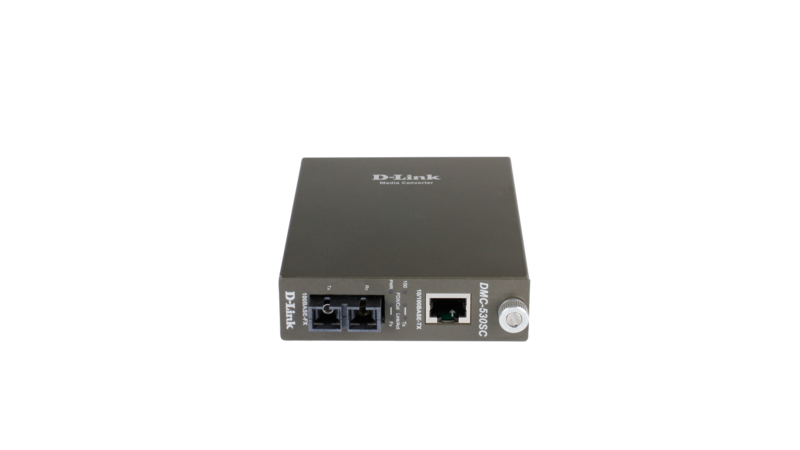 The DMC-515SC, DMC-530SC, and the DMC-560SC convert 10/100Mbps 10BASE-T/100BASE-TX Fast Ethernet twisted-pair signals to 100BASE-FX Fast Ethernet single-mode fiber signals. Maximum fiber cable distance is 15 - 60 km. 1 RJ-45 twisted-pair port and 1 fiber port (SC connector) are provided. 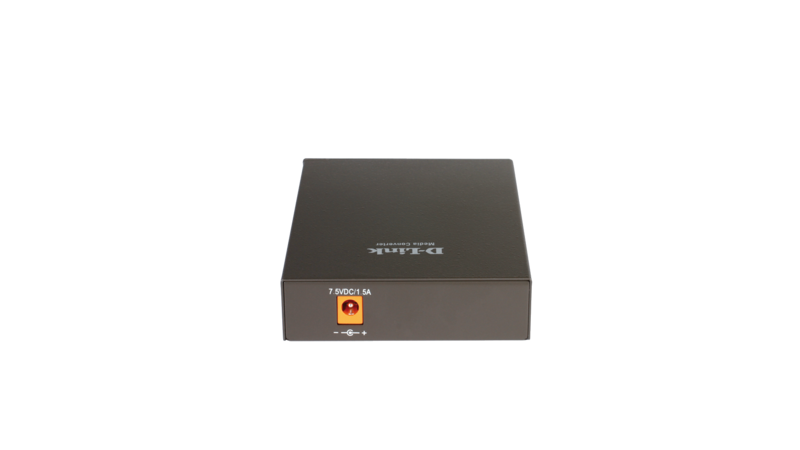 DMC-515SC: this media converter supports maximum 15 km fiber cable distance. DMC-530SC: this media converter supports maximum 30 km fiber cable distance. DMC-560SC: this media converter supports maximum 60 km fiber cable distance. The media converters come with their own solid metal case housing, LED status indicators and external AC power adapters. They can be used as stand-alone converters, or installed in a DMC-1000 chassis. In case you install them in the chassis, you will remove their metal cases and slide in their PC boards into the chassis slots. The chassis’s power supply will be used instead of the media converters’ own external AC adapters. All media converters are hot-swappable when used with the chassis.